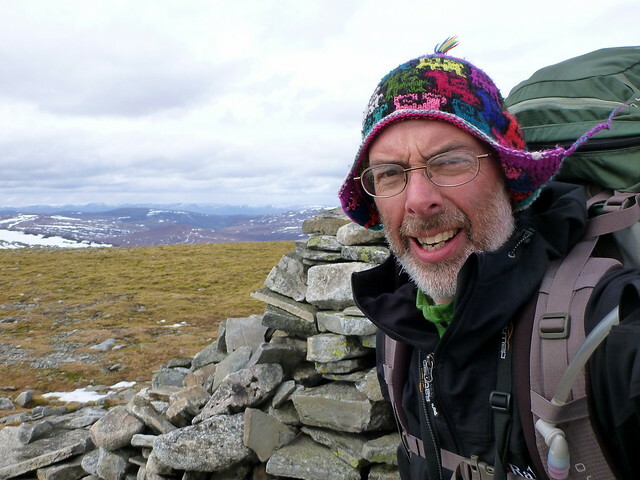 On my own this weekend as regular walking buddy Allison was away to do the "Kilt Walk" (26 miles with no Munros - what's the point of that I ask you? ), so decided to opt for a strenuous wee overnighter. Forecast for saturday was reasonable, but rain and winds for sunday, so wanted to get most of it done on saturday. 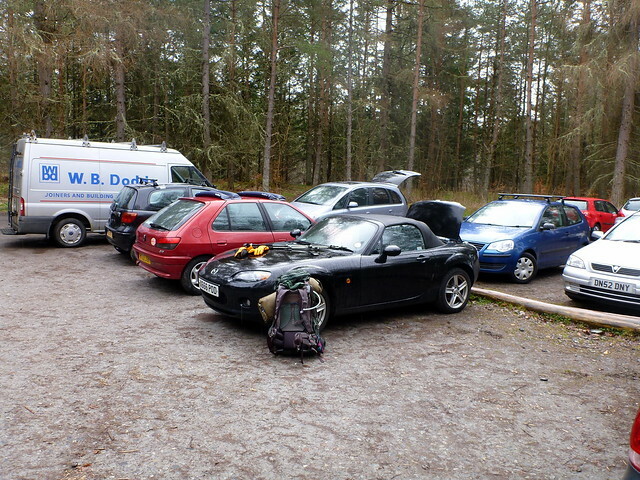 Got to Old Bridge of Tilt car park for about 7 - met Shane from Fochabers who was off to do Beinn Dearg, by mountain bike - and set off. 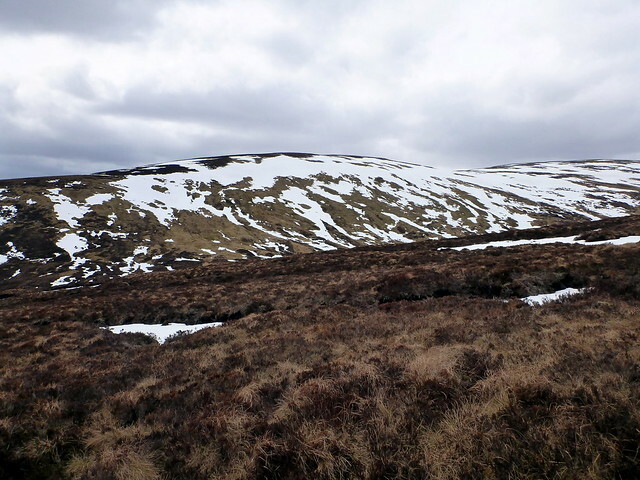 Had brought my 3-season boots for comfort today as I reckoned the worst of the snow was away. Thought they were rather roomy when I put them on - but assumed this just a contrast with winter boots. However, I was to learn later that the reason they were so roomy - and so uncomfortable underfoot - was because they had no insoles in them, just bare boot base - must've taken the insoles out to dry or something. So instead of helping my 1 sore foot I now faced having 2 sore feet This is not something that I would recommend for a comfortable day's walking - especially for a long tramp. But there you go. 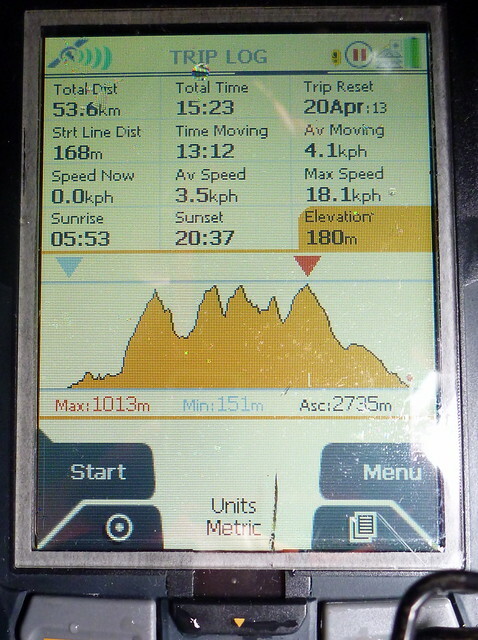 I'd managed to get my pack down to 17kg but it still felt a bit heavy for the first 10 miles or so. I took ages getting out the car park - firstly coming back to see if I'd locked the car - I had - then getting the right path proved to be a bit of a challenge - embarrasing However, soon I was properly underway through the pretty woodland, with the odd red squirrel dotting about. 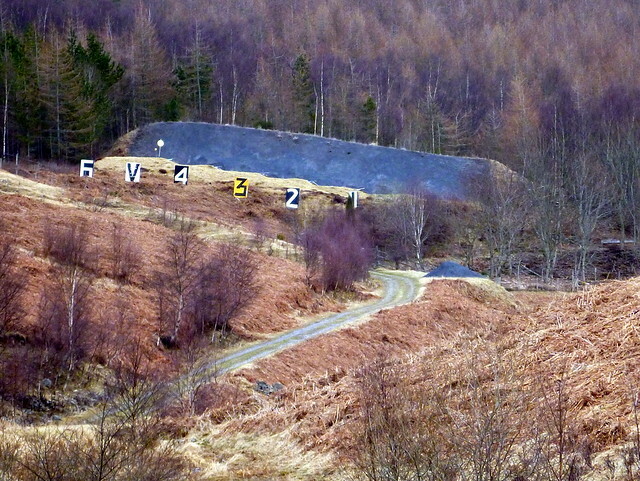 Reached the firing range which was fortunately on a day off and noticed a trail of bits of coal which proceeded for miles up the track, like some satanic version of Hansel & Gretel's white pebbles. 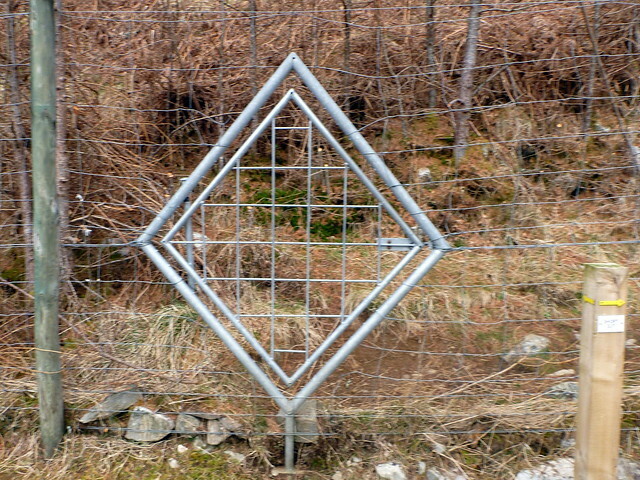 Strange diamond shaped opening in the fence near Gilbert's Bridge was just manageable without taking pack off. Along to my R I could see the Beinn aGhlo hills, mostly stripped of their snowy coat and looking the worse for it, I might add. Up ahead I could just start to make out the shape of Carn a'Chlamain, though the top was under a blanket of mist. 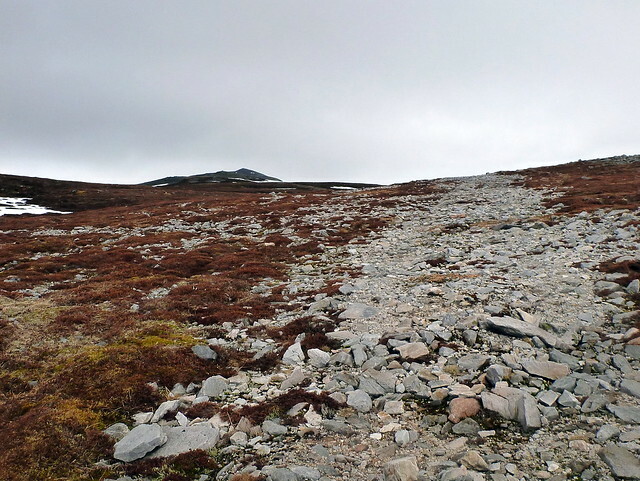 A good track heads all the way up, passing through some scree on Grianan Mor. 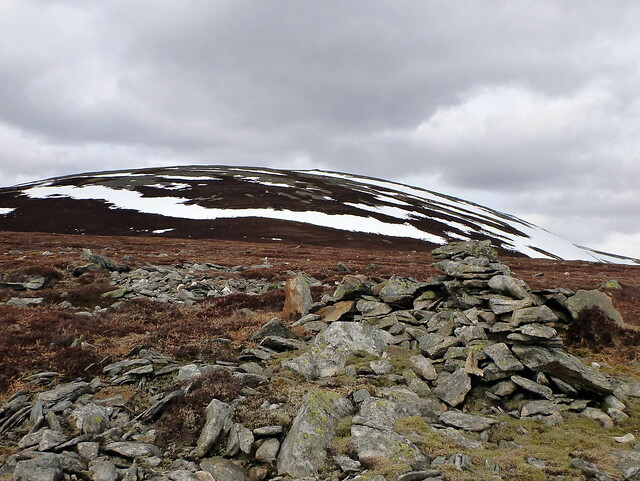 The top itself looked somewhat like a large slag heap from this angle, with vestiges of snow still lying. Easy pull up to the top where I stopped for some dried mango and a drink. Looking north, I had absolutely no idea which one was An Sgarsoch, or if it was even in sight yet. 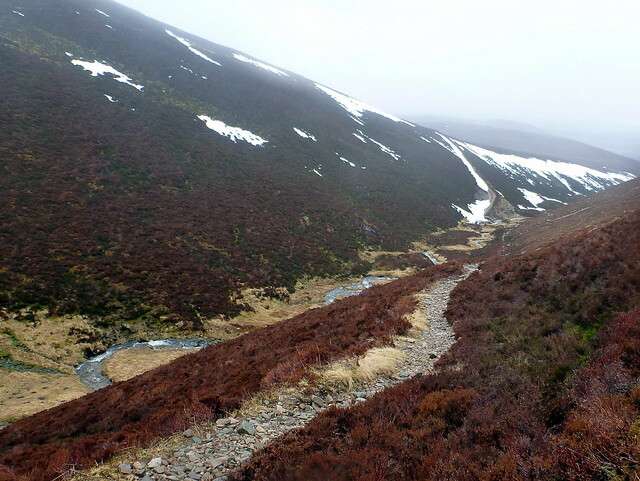 My path took me over Meall Tionail, through bog and heather, with occasional opportunity for a bum slide down wet snow slopes until the Tarf Water came into sight. 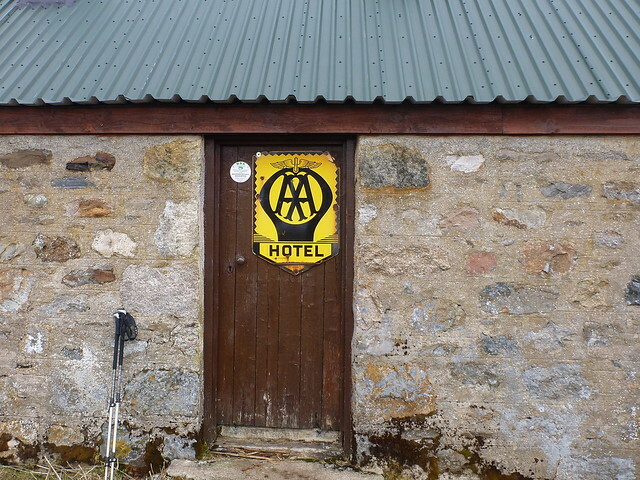 Got to the Tarf Hotel about midday - had to provide my own food and didn't think much of their range of draught beers No-one was at home except some clothes dripping from the washing line in one of the rooms. Getting over the Tarf was easier than I'd feared and wet feet were not acquired. 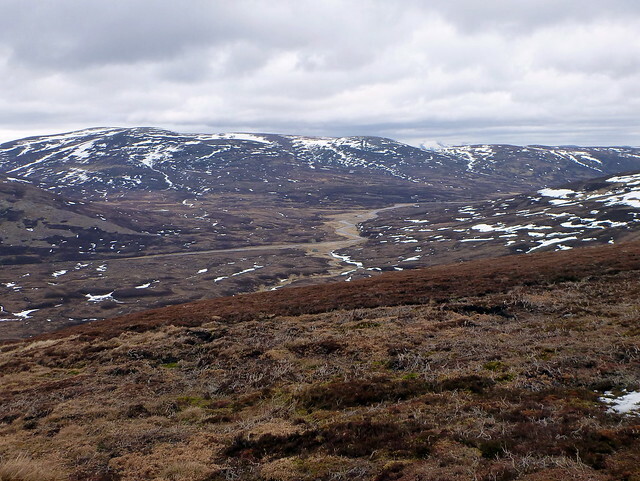 The next section headed through very boggy land towards Sron na Macranaich which was stony. From here I could see the next objective of An Sgarsoch was visible up ahead, looked like a long but fairly steady pull, and it was. The hill of sharp stones was aptly named. 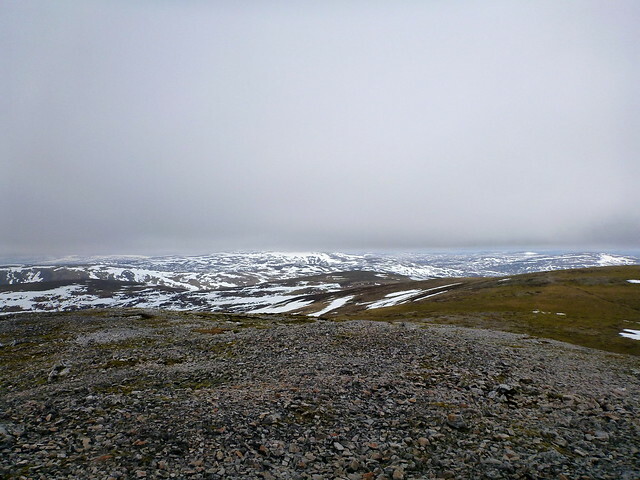 Reaching the summit, the wind had got up quite a bit and my fingers were cold in my damp gloves. 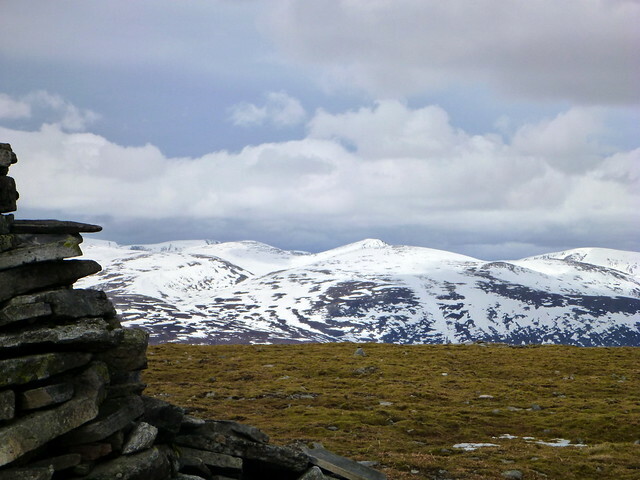 I had something to eat while looking over to the Cairngorms, still mostly white topped, then checked around for Carn Ealar. 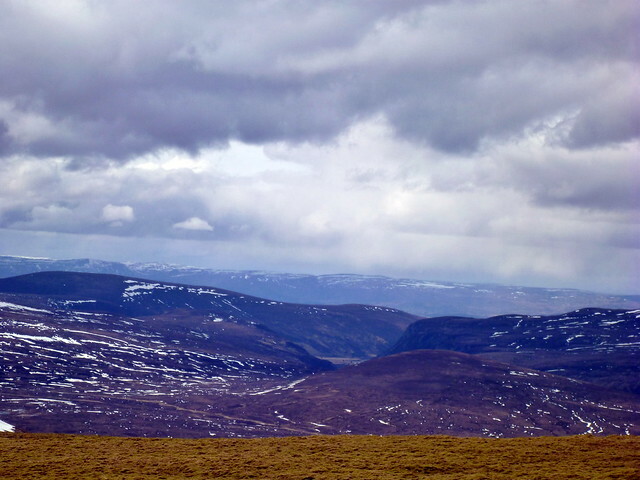 Not far away, but quite a drop down to the bealach between then a push up northwards to the summit. 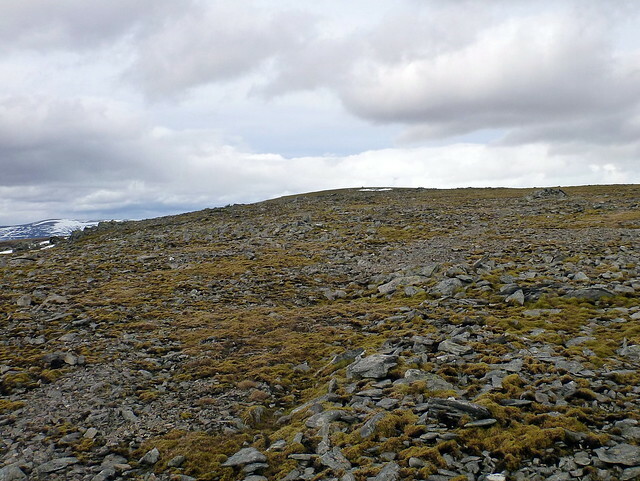 A featureless flat plain was reached, with the cairn and some good views, but the wind was chilly by now. Had another coffee to heat up a bit in the sheltered area. From here the plan was to head over to Beinn Bhreac, a corbett that misses munro status by all of 5 metres and then find somewhere to camp for the night. 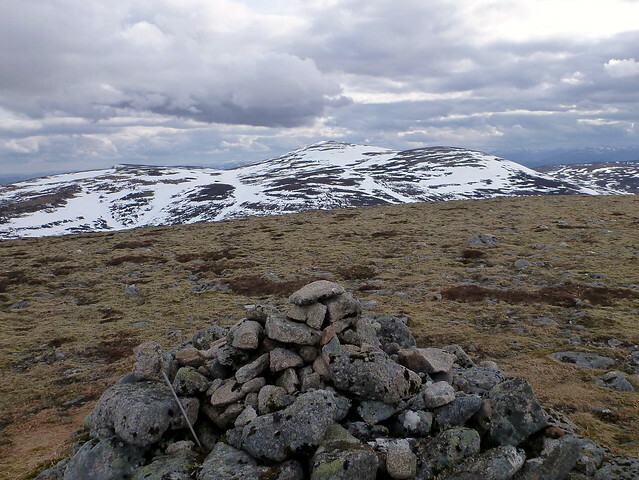 I summited another Meall Tionail and Cnap a Choire Chreagaich for fun then headed over more boggy half snow half heather terrain to Bein Bhreac. 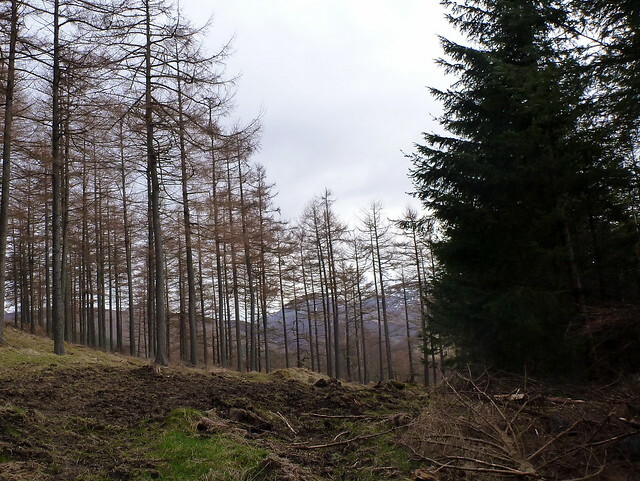 By this time I was tiring and slogged up the steady slopes of this hill. 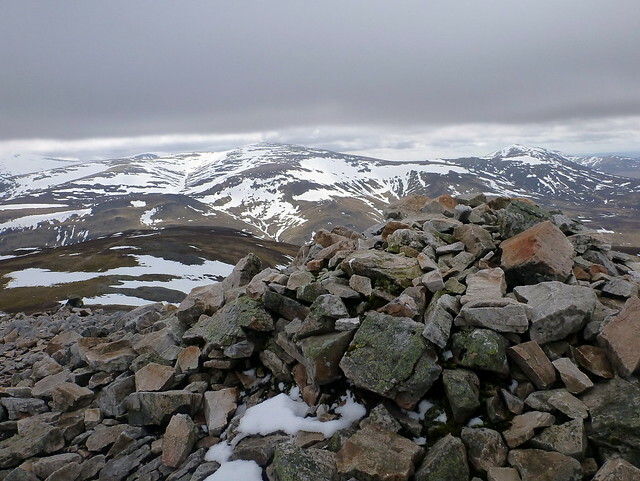 I could see my final destination, Beinn Dearg off in the distance and wondered what to do. It was getting on for 6 at this time, half past by the time I had waded across the Tarf Water again - unfortunately no easy crossing here and I was up to my knees but too tired to bother - gaiters seemed to keep some of it out of my boots. 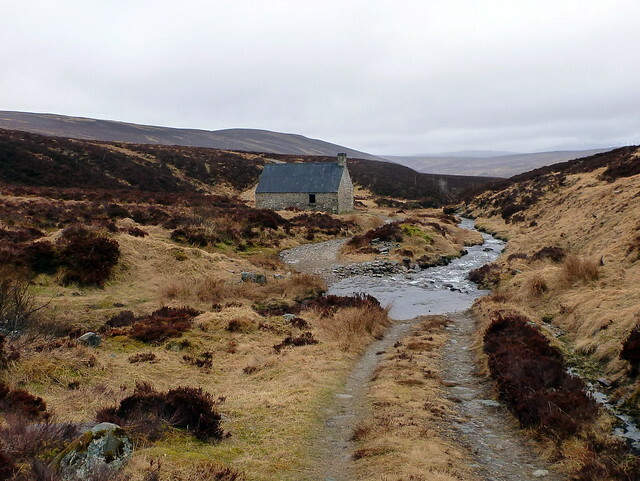 I could either find a place to pitch for the night - easier said than done in the marsh and bog around here, or press on, try to get over Dearg tonight and spend a drier night in the bothy down at Shiechanchan. I reckoned that it would take me an hour to top BD which was about 3km away, but then it looked like a further 5 or 6km to the bothy. I wasn't sure how much light I had left, nor if I had the legs for it and decided to just pitch for the night and risk the rain and winds. 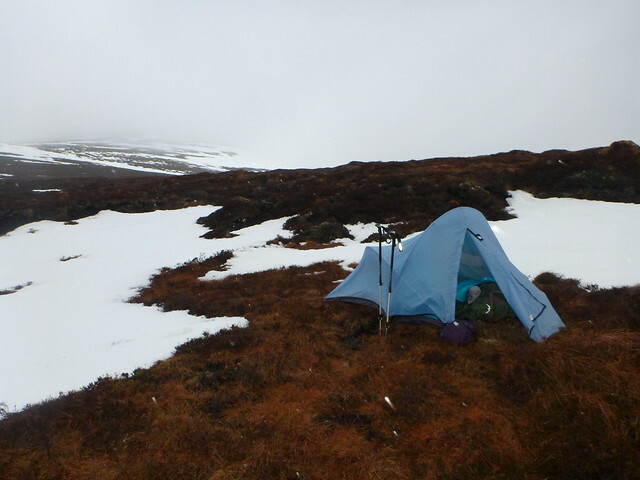 Was considerably warmer in the tent than the last outing to Ben Alder at easter and didn't even matter that my socks were saturated. I put the liner socks under my baselayer to dry with body heat overnight and thanked the lord I'd put in a spare pair of Sealskinz as my boots were soaked. a couple of whiskies helped the body warmth and I read a few chapters of John Collis's farming experiences in 1940s "The worm forgives the plough". Did get cold and windy overnight. Hoping for some dawn colour I poked my head out of the tent before 6 to be greeted with rain and mist. I hadn't the heart to go to the stream to get more water, so made do with a coffee and flapjack rather than my usual porridge. Trying to take the wet tent down in the wind on my own was pleasant and ended up stuffing it away unfolded in a drysack. Had to put on my waterproof trousers for the first time since I bought them in early December - amazing really that we've had such good walking weather over the last few months. Everything seemed to be a faff - GPS battery needed changed and in the rain condensation got in to the case which I had to stop a couple of times to remove, gloves needed to be changed - bother... 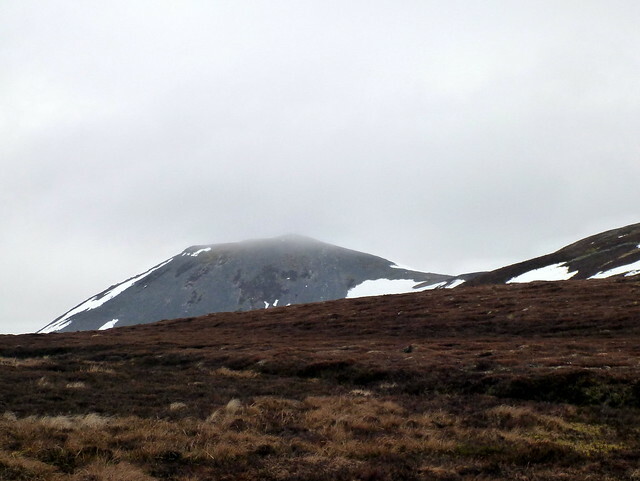 Anyway, I was eventually off about 7am up Beinn Dearg - first up the foggy slopes of Beinn Garbh, the "rough hill" which was basically a boulderfield that reminded me of Schiehallon other than the rocks were reddish. 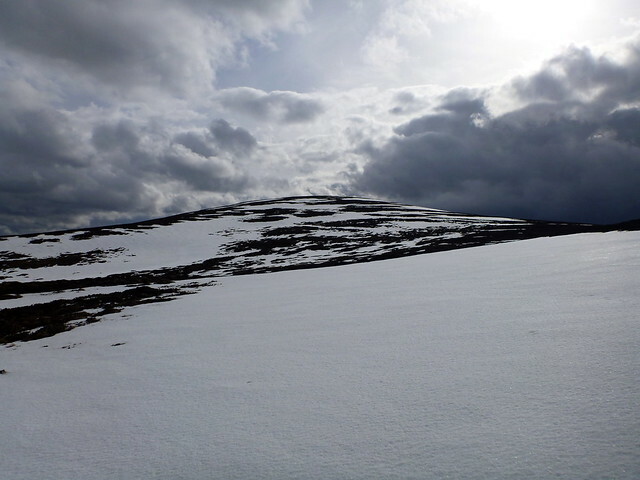 Every so often I'd disappear down a snow hole either into a stream bed or a rocky hole, such fun At the summit of BG I found I'd drifted off course a bit, since I could see not a jot of the hill I was supposed to be going up due to the clag. 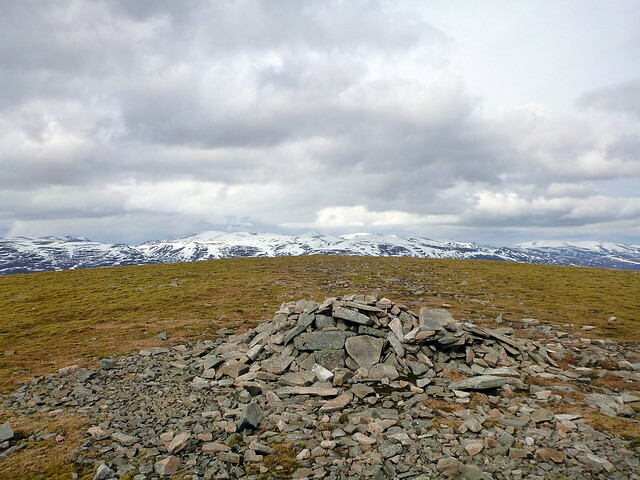 Eventually I came across a sort of path and followed it over more boulders to the summit of Dearg - the trig point made of the local stone rather than concrete. 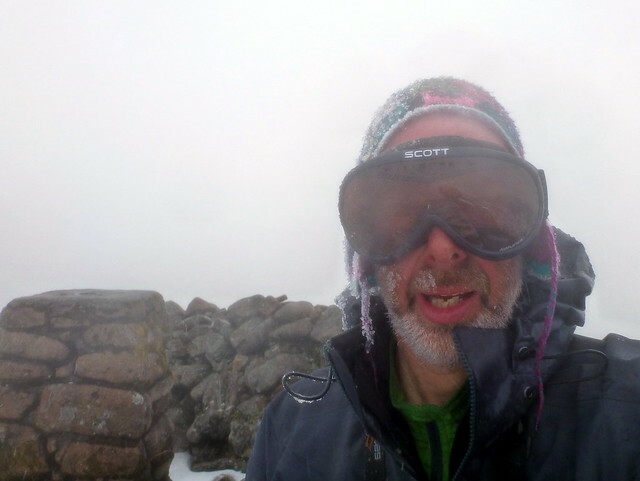 I was half plastered by the sleety snow that had been constant since the beginning of BD and didn't bother to hang around. Finding the right path from the summit wasnt easy as there were a variety of tracks - animal, human whatever, spreading out radially into the mist. 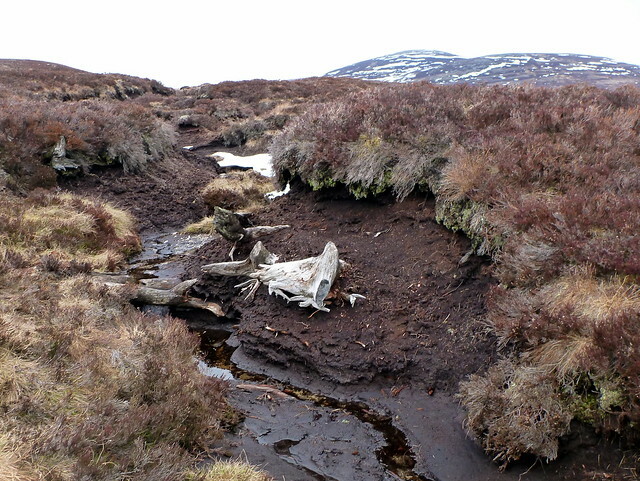 After a few corrections I came over to a good track which led down the hill, over mostly springy bog, walking was pleasant underfoot. 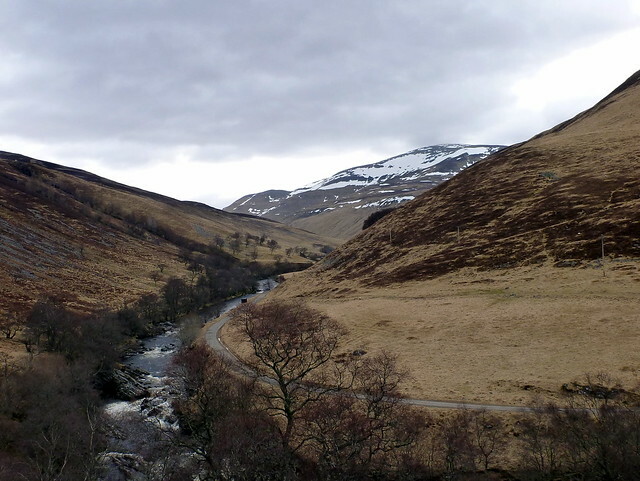 The rain/snow was lessening as I haeded down to the Z shaped track that leads down to the Allt Sheicheachan and I stopped for a lovely cool drink from the river. 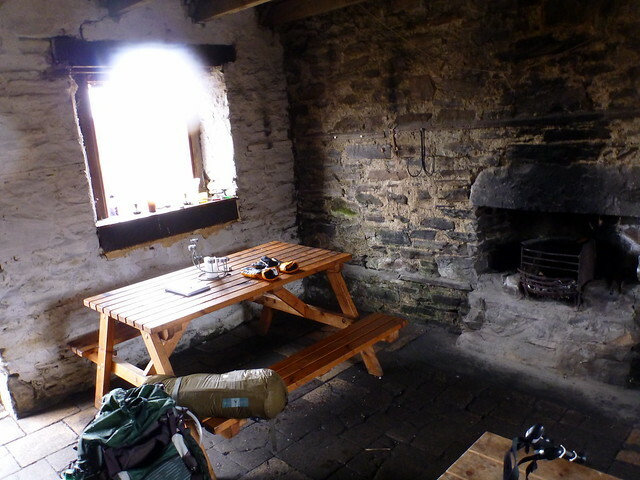 The bothy came into view round the next bend - my! a posh place this one Snuck inside to eat my sandwiches at about 10am - reading through the visitor book noted quite a few WH names Then off along the fine track that seemed to go on forever! Can see the advantages of doing this one on a mountain bike for sure! 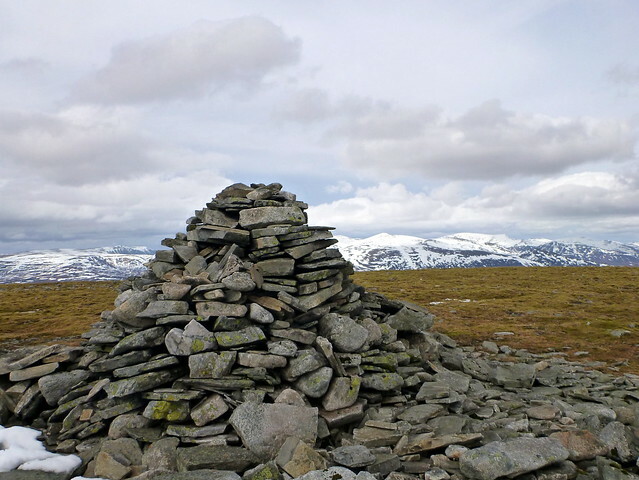 Passed a couple of parties of OAP walkers - maybe 15 in each near the cairn before the Banvie burn, which reminded me that I'd seen or heard no-one since the car park the mornign before. Eventually got back to a very busy car park and got shot of the soggy uncomfortable boots. 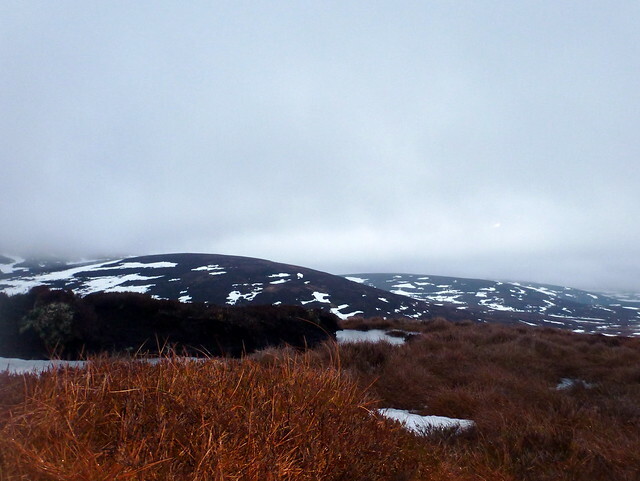 A tough walk this, particularly with full overnight gear and the combo of soft snow and boggy heather. Impressed that Monty did it in one day - don't think I could have managed that. But a nice weekend anyway - even quite enjoyed the "novelty" of walking in the rain - though I suspect that might wear a bit thin over the next few months!!! well done good round this. 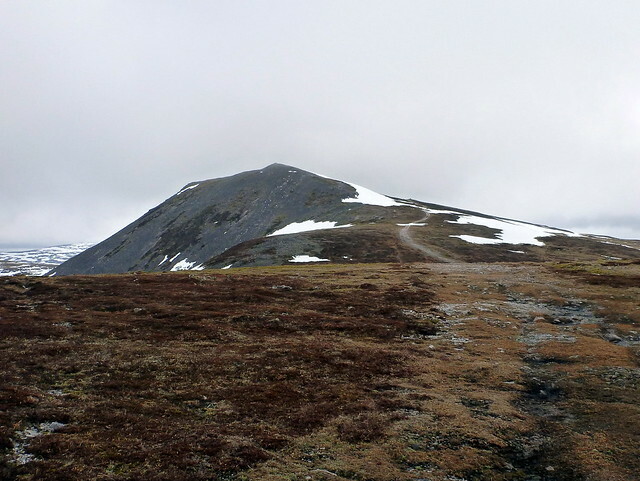 still to do beinn bhreac. Cheers for that WM - i enjoyed reading your report . I've got this route on my soon-to-do list , but i'm planning doing it the other way - clockwise . 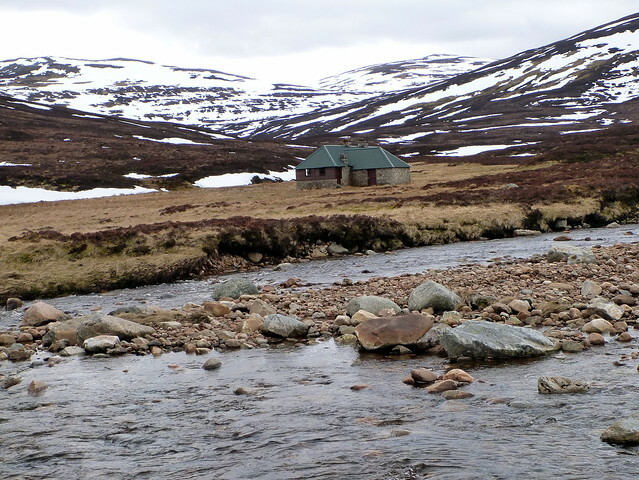 It's probably too long for me ( also ) to do in 1 day - so bothying or camping at Tarf Bothy on the way back is a possibility for me.